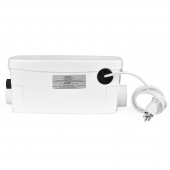 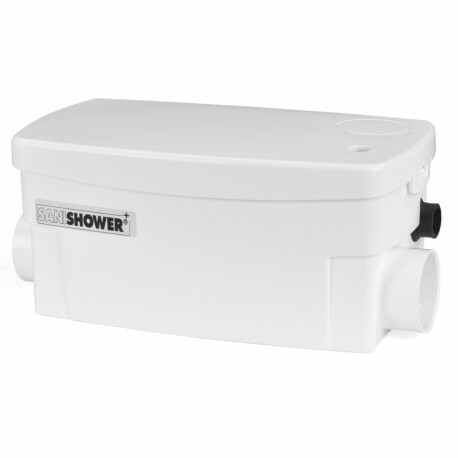 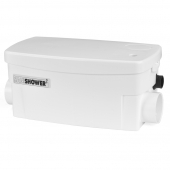 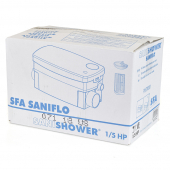 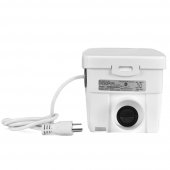 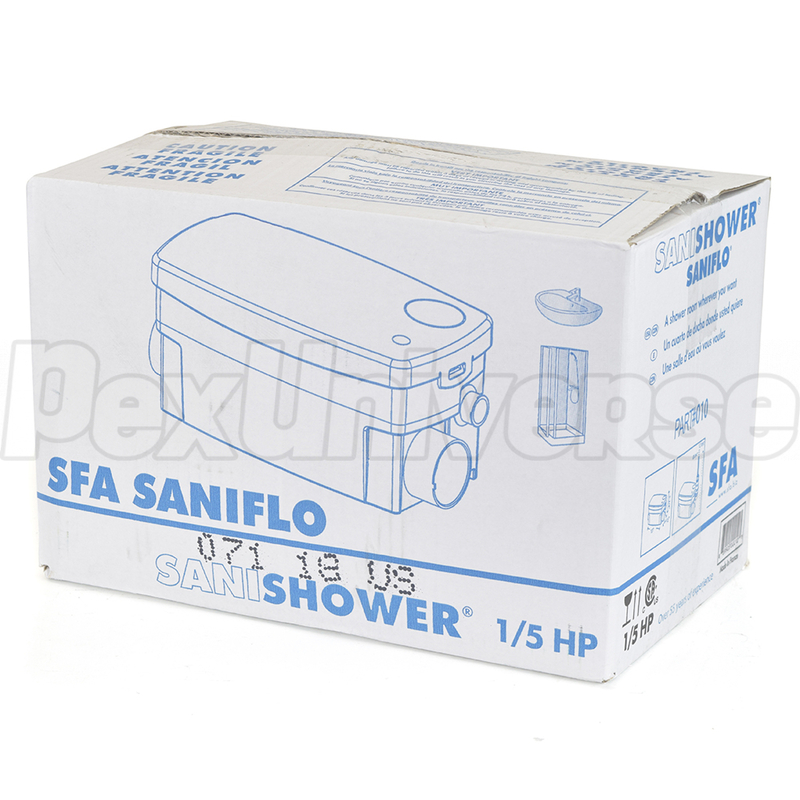 SaniSHOWER model is a 1/5HP drain pump built into a compact 0.9 gallon basin, intended for installation of showers and bathroom sinks in basements (where they are below the main sewer line level) or remote locations. 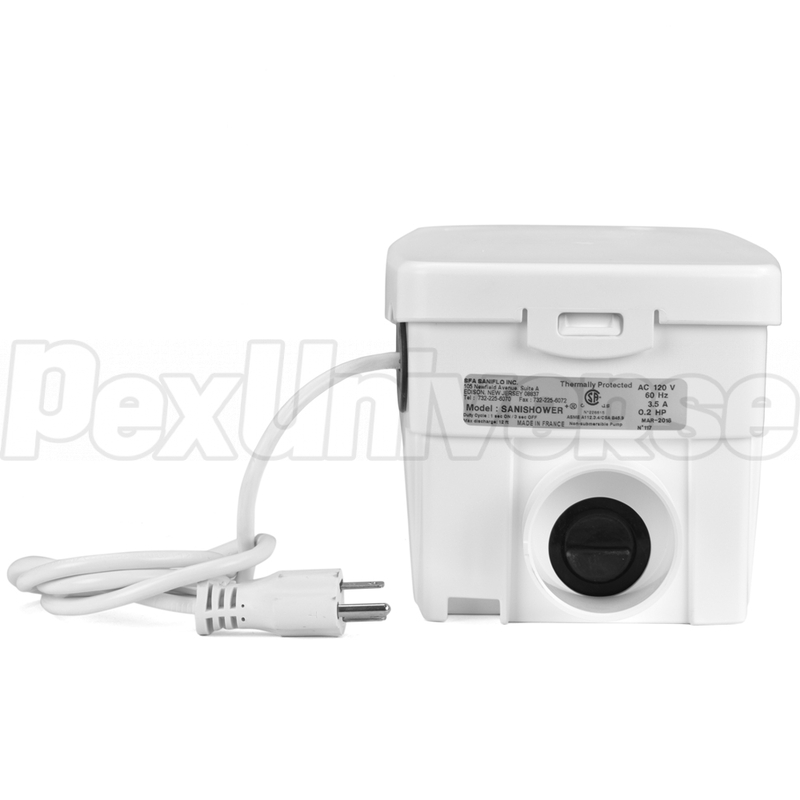 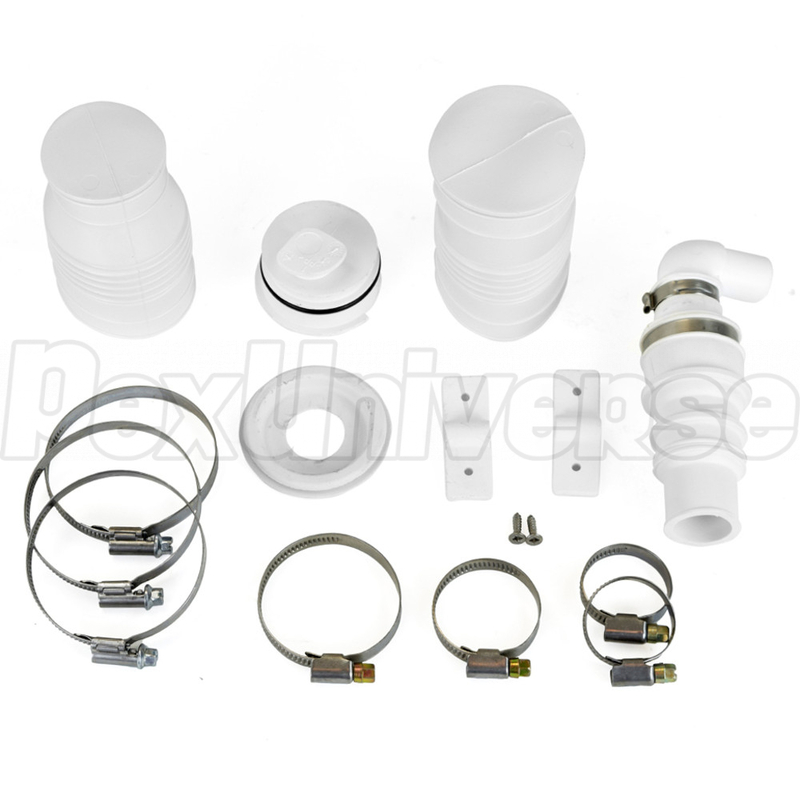 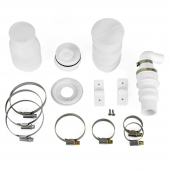 Features 3/4" or 1" discharge (adapter included), 2 x 2" inlets and 1-1/2" (optionally 1-1/4") air vent connections. Basin dimensions (L x H x D): 13-7/8" x 5-3/4" x 6-1/2"